Biotechnology stocks have taken it on the chin all year long, pummeled by policy uncertainty and fear of a harsher regulatory regime. And it all came down to Election Day to resolve the sector's prospects on the stock market. The ongoing situation creates the possibility of a slingshot for the Biotech sector on November 9." "At this point we find the 800-pound pricing control issue gorilla sitting on the other end of the biotech valuation see-saw, who isn't going to budge till at least November 8, election day." The shroud of election fog cleared, and the outcome was significantly better for Biotech and pharmaceutical companies than was being widely anticipated. A Republican sweep created a healthcare landscape where significant price-control and far-reaching drug legislation appear to be a remote possibility. The post-election world has transformed the investment landscape, and the Biotech sector has come out ahead. The Biotech stocks have responded highly favorably. The Nasdaq Biotechnology Index, weighted towards larger capitalization ((cap)) Biotech stocks and represented by ETF (IBB), has shot up 11% this month. The S&P Biotechnology Index, weighted towards mid-cap and smaller-cap biotech stocks and represented by ETF (XBI) surged 18%. Pharmaceutical and Biotech stocks participated in a sector-wide rally post-election, including large caps like Pfizer (PFE), Merck (MRK), Johnson & Johnson (JNJ), Novartis (NVS), Sanofi (SNY), Eli Lilly (ELI), Bristol-Myers Squibb, AbbVie (ABBV), Celgene (CELG), Biogen (BIIB), Gilead Sciences (GILD), Regeneron (REGN), Amgen (AMGN), and Incyte (INCY), to name a few. The new investing environment creates what we believe can be a Biotech Bonanza. The Biotech sector is well-positioned for higher valuations, with multiple key drivers that augur well for the sector's prospects. Through much of 2016, the healthcare industry was traumatized with policy positions and tweets that suggested a growing regulatory regime in 2017 and beyond. With the unexpected election outcome, the threat of regulatory clamps and political rhetoric has faded away. In addition, at the State level the industry succeeded in defeating a price-control legislation, Proposition 61. The California proposition supported a drug price standard, requiring State agencies to cap their payment for prescription drugs to no more than what the US Department of Veterans Affairs pays for the same drugs. 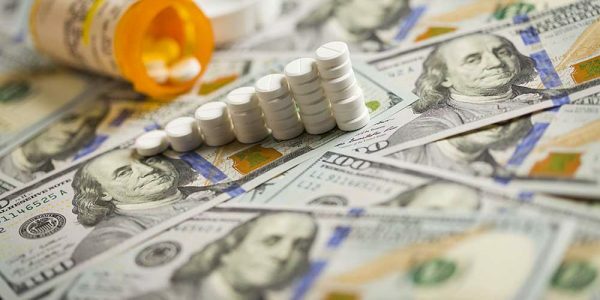 This proposition was one of the most expensive ballot measure in 2016, with nearly $130 million raised to oppose and support the ballot, and the eventual outcome was a big win for the pharmaceutical industry. The push-back of price-control measures at both the Federal and State levels is a material positive for the pharmaceuticals and biotechnology companies. This doesn't mean that the issue of drug pricing has been swept under the rug, particularly as a majority of Americans are in favor of affordable treatments and reducing prescription drug prices, as per Kaiser's Health Tracking Poll. 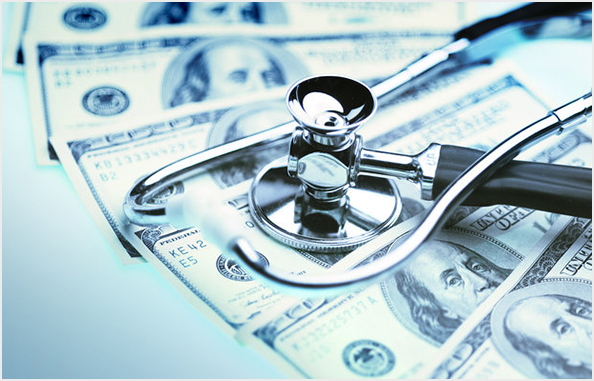 What it means is that the intensity with which the new administration will approach drug price control and pricing transparency will be much lower, thus significantly easing the pressure on the industry. Furthermore, changes in the FDA administration staff next year can also prove to be beneficial to the industry, if there is greater emphasis on FDA "reform" focused on delivering new and innovative drugs for patients, as mentioned on the Trump website. The uncertain regulatory climate prior to the elections capped the acquisition pace in the healthcare sector. Big pharmas held back on pursuing promising biotechnology targets in anticipation of policy clarity. There were a few acquisitions, with the largest one being of Medivation by Pfizer in a $12 billion deal. But the pace faltered as political rhetoric climbed and the election day came closer. As Pfizer's CEO Ian Read mentioned during the earnings call earlier this month, "the whole industry is on pause right now" for major business development deals until after the U.S. presidential election and the resulting policy clarity, including tax implications. Late last month, Gilead, the cash-rich biotech company, made clear at an investment conference that it might consider making an investment (acquisition) in a Poly ADP ribose polymerase, commonly referred to as PARP, inhibitor to strengthen its oncology practice. Prior to the Pfizer acquisition of Medivation, which also has a PARP inhibitor, there were only two large pharmaceuticals with such inhibitor programs - AbbVie and AstraZeneca. Since Gilead's announcement of its intention, investor interest has been provoked in oncology firms Tesaro (TSRO), Clovis (CLVS), Syndax (SNDX), and Corvus (CRVS), to name a few. While the Biotechnology sector has suffered this year, unable to breakout of a trading range, its valuation struggle masked the progress that was being made by biotech companies. While sector valuations have moved sideways in a nearly 10-month consolidation, this muted period has allowed a number of biotech concerns to advance their programs towards key milestone data. So for the first time this year, we finally have a situation of hungry buyers, attractive targets, and substantially more policy clarity, all combining to generate a strong tailwind. We would proffer that the next acquisition would generate further sector momentum to trigger a break-out of Biotech index ETFs, IBB and XBI, above their trading ranges, if that hasn't already occurred. Speculative segments of the market, like Biotechs and the Smallcap stocks, can be a good gauge of the risk-seeking or risk-averse investor behavior prevailing in the market. Smallcap stocks have had one of the best periods of 2016, rising 10% in a streak of 8 consecutive days since the election, and catapulting the Russell 2000 index (IWM) to an all-time high. Earnings, Economy, and Monetary Policy are all supportive of higher valuations. In a recent article, 3 Reasons for Stocks To Head Higher, we outlined in greater detail how these three factors will contribute towards rising stock valuations and new market highs. Biotechs and smallcaps will be beneficiaries of the growing risk appetite. This has been a bull market which has been riding a wall of skepticism. Blackrock research shows that investors worldwide are holding more than $50 trillion in cash, which is not being invested because of fear of declines or risk averseness. The point was made again by Blackrock President, Robert Kapito, in an earnings call last month. To be clear, this is not Cash that is all available for equity investments. It's cash sitting with investors like central banks, financial institutions including mutual funds, and individuals. Some of this Cash is looking for a return on investment, and a portion of this can be available for equity investments, which can be meaningful. Mutual fund allocation towards Cash had been growing heading into November, and the $50 trillion cash estimate includes the cash on the sidelines at financial institutions. A monthly survey reported last month by Bank of America Merrill Lynch of 213 fund managers with ~$560 billion under management, showed cash levels rising to 5.8% from 5.5% the previous month - a level not seen since Britain's unexpected exit from the Eurozone. In an Investor Pulse Survey released in October, nearly two-thirds (63%) of Americans said the Presidential election impacted their investment decisions over 2016, with many investors raising their allocation to cash. This is corroborated by the steady decline in equity mutual fund inflows. Towards the end of October 2016, the industry experienced the largest weekly outflow since 2011, when over $16 billion was withdrawn. The relatively poor performance of higher-cost actively managed funds compared to lower-cost indexed products, like ETFs, is one of the reasons for strong outflows from mutual funds. JP Morgan recently concluded that $50 billion of cash is waiting to enter ETFs. Furthermore, Private Equity firms are sitting on historic levels of cash, nearing $860 billion as per data firm Preqin, matching the levels seen during the depths of the 2008 financial crisis. The election results have changed the investment landscape, triggering a significant exposure to equities. Much of the equity exposure was acquired rapidly last week through ETFs. Thomson Reuters Lipper reported the US ETFs received the most cash ever last week, to the tune of $27 billion, as investors scrambled to raise their equity allocations. As the surge in smallcap and biotechs suggest, money on the sideline is growing confident and entering the stock market. This shift will be supportive of growing stock valuations. If the Trump plan for repatriation of funds at a reduced tax rate takes effect, then the pharmaceutical and biotech industry can take advantage and bring back huge sums of cash parked outside the US. Specifically, this can create an uptick in the merger and acquisition activity, as well as licensing and partnership deals. The larger companies will be inclined to take more risk in putting huge sums of money to work. 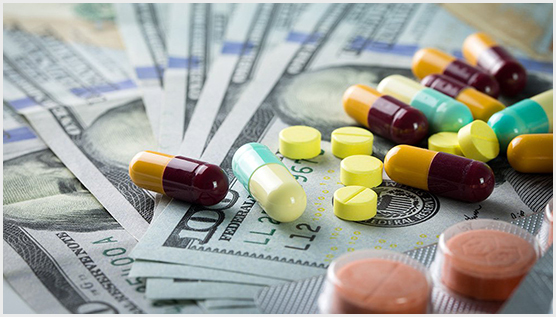 It is estimated that the 9 biggest pharma and biotech companies hold over $120 billion in cash overseas, with Amgen holding $35 billion, Gilead $25 billion, and Merck $20 billion. Though a tax repatriation concession is a policy piece that may come in place later in 2017, it is a valuation support for promising smaller and midcap biotech companies and bodes well for the biotech sector for 2017. A lot has changed due to the unexpected election results. While still much of the policy framework for the new Trump administration remains unclear and consequently its impact, what is abundantly clear is that biotech and pharmaceuticals have a very favorable regulatory climate ahead. This mitigated policy risk for biotechs is a sector driver for a few years, and a substantial incentive for investors to increase their allocation to the sector at the expense of industries, including some healthcare sub-sectors, which still have to deal with the risk of "unknowns" from the Trump presidency. It may not be wrong to suggest that Biotechs may well-deserve a lower discount rate because of diminished policy risk. Coming into November, we were about two-thirds invested in our Graycell Smallcap Portfolio, which was up 58% as of the beginning of November, and in our Prudent Biotech Portfolio, which was down -7% compared to IBB performance of down -24%. We believe the pendulum has now swung definitively in a favorable direction for Biotechs. A stagnant and suffering Biotech industry hounded by uncertainty for much of 2016, is now transforming into a relatively more vibrant sector with diminishing policy uncertainty and a compelling case for higher valuations. There are a number of promising biotech companies that can be considered in a portfolio including Incyte, Seattle Genetics (SGEN), Biogen , Alkermes (ALKS), Celgene , Ionis Pharmaceuticals (IONS), Tesaro , Exelis (EXLS), Agios Pharmaceuticals (AGIO), Ariad Pharmaceuticals (ARIA), GW Pharmaceuticals (GWPH), Sage Therapeutics (SAGE), Array Biopharma (ARRY), Aerie Pharmaceuticals (AERI), Corcept Therapeutics (CORT), CoLucid Pharmaceuticals (CLCD), Cara Therapeutics (CARA), and Omeros (OMER), amongst others. Biotech and Pharmaceutical exposure can also be acquired through ETFs like Health Care Select SPDR (XLV), iShares Biotech IBB, S&P Biotech Select XBI, and higher volatility two-and-three times return exposure ETFs for both up-and-downside exposure like Direxion Bull 3x (LABU), Ultra Biotech (BIB), and Direxion Bear 3x (LABD). If you feel same or differently about the market action please share your viewpoint below in the Comment section. NOTE: Graycell Advisors and Prudent Biotech publishes stock portfolios for investors and registered investment advisors (RIA) based on a systematic investing strategy driven by quantitative models. If you're not already a subscriber, we invite you to learn more about the market-beating Performance, and View Samples by visiting the Newsletter section. Try out a 60-day Risk-Free trial. Graycell Advisors or Prudent Biotech is not a RIA. Past performance is not a guarantee of future results. The information here is only provided for general informational purpose and not as a recommendation, and is not guaranteed to be complete or accurate. Opinions, where expressed, can change with time and new information.